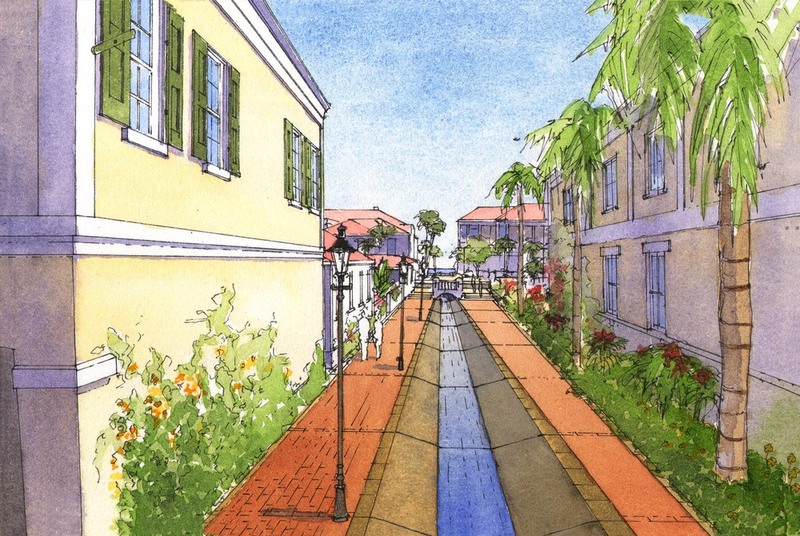 The Town’s Blueprint is a special component of the USVI’s Zoning and Subdivision Code Update: a pilot project to demonstrate and test the application of a Form-Based Code (FBC) in the historic neighborhoods of Charlotte Amalie. The goal for the planning effort is to create a new FBC Overlay District that can be calibrated and applied in selected areas throughout the Territory. The historic core of Charlotte Amalie is the first "pilot" area to test this approach. 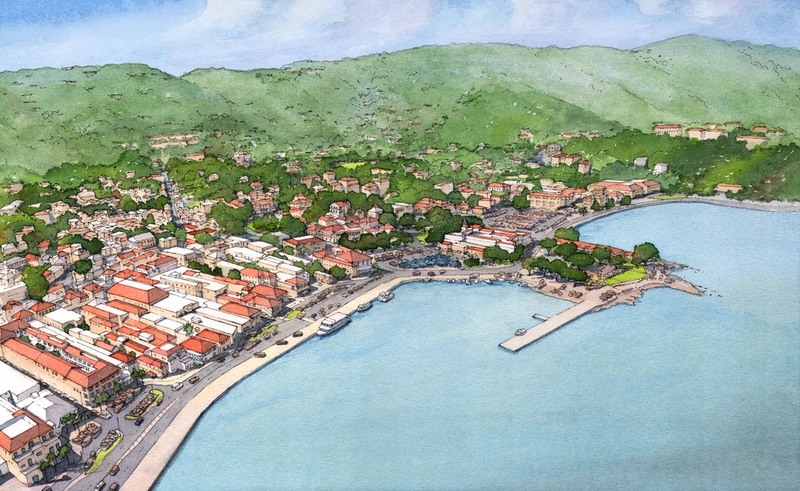 This area was selected as the pilot to build upon the investment in transportation and infrastructure improvements underway as a part of the Charlotte Amalie Revitalization Plan (which includes a series of enhancements to celebrate the centennial of the transfer of the islands in 2017), as well as to protect and strengthen the historic building fabric present in the capital city of the United States Virgin Islands. Dover, Kohl & Partners worked together with Hall Planning & Engineering, UrbanAdvisors, Chael, Cooper & Associates, Springline Architects, Aaron Cook, and Eduardo Castillo, as well as hundreds of participants from the Charlotte Amalie community to create the Vision and Code. A public planning process began with stakeholder interviews and meetings in August and November 2010, and peaked with a charrette held December 3 - 9, 2010. Residents, property/business owners, and government staff and officials attended the week’s presentations and design sessions, and visited the design studio, where each day’s progress was displayed. A set of "Big Ideas" were identified; these concepts formed the pur¬pose and intent of the draft Charlotte Amalie District Code. The Dover-Kohl team returned to the Territory in March and November 2011 for additional community meetings and workshops to review the refined vision and draft Form-Based Code documents. The Territory-wide Zoning and Subdivision Code Update (prepared by Duncan Associates and Rutgers University) is expected to be ready to be considered for adoption in 2014; following approval, individual FBC districts such as the one prepared for the pilot area of Charlotte Amalie can be adopted. The Dover-Kohl team returned to the Territory in November 2012 in order to present designs for the revitalization of Veterans Drive. These designs are a collaborative effort of Dover-Kohl, The Department of Public Works, and other design teams.